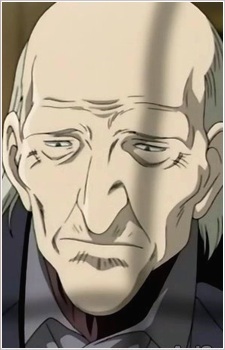 A very old soldier who was the first one to find the twins, he is the second of the four individuals behind the organization. He gave Johan his name, the name from the boy in the picture book called "The Monster without a Name". General Wolf is actually the only one of four individuals that did not want to make Johan a new Fuhrer. Wolf's family and acquaintances have all been killed by Johan, thus teaching him true loneliness as seen through Johan's eyes. He dies of natural causes, before he dies he begs Dr. Tenma to yell out his name as proof that he existed. First mentioned in Chapter 27, first seen in Chapter 29.